Also, I wanted to give a big shout out to DL Hammons. 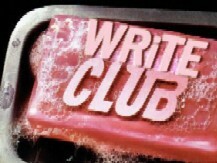 WRiTE CLUB is starting now, so for details go check out his site! Sweet Evil every Thursday for the next FOUR WEEKS on her blog! Go check it out here. I seriously ADORE Wendy Higgins, (author of Sweet Evil) and Nyrae... they are both ridiculously talented. And if you haven't signed up for the What If Fairytale Blogfest do so now... I'm so stoked and it's coming right up! This summer is whizzing by! Any fun adventures to share? Participating in WRiTE CLUB? Familiar with Nyrae and Wendy? And what category are you planning on entering for the "What If?" Blogfest? I woke up to an unexpected surprise this morning. I'm honored to be one of the 30 chosen out of the 351 entries for Michelle Krys and Ruth Lauren Steven's Christmas in July contest! Earlier this week, each of the entries emailed their query and first 500 words to Ruth and Michelle. Then they "fought" over which projects they wanted to showcase next week. Our entries will go live on July 18th, and then the awesome line up of agents will request which stories pique interest. So kind of these agents to participate. It's always nice to have opportunities to show your work. Thank you, Michelle and Ruth for the opportunity! 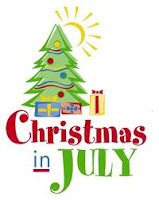 Speaking of Christmas in July, any of you have any unexpected surprises? Last November, I did NaNo for the first time. For those of you who haven’t done it, it’s way cool with how you punch in your word count and see your progress visually on a graph. I’m not sure how you all faired, but for me? It was a struggle to sit down and force myself to pump out the minimum 1600 words or so each day. And the words were crap. Total messy gibberish that might as well have been a mesh of words that someone randomly picked from a dictionary and vomited on a page. But it isn’t like that anymore. Something’s happened to me in the last eight months. 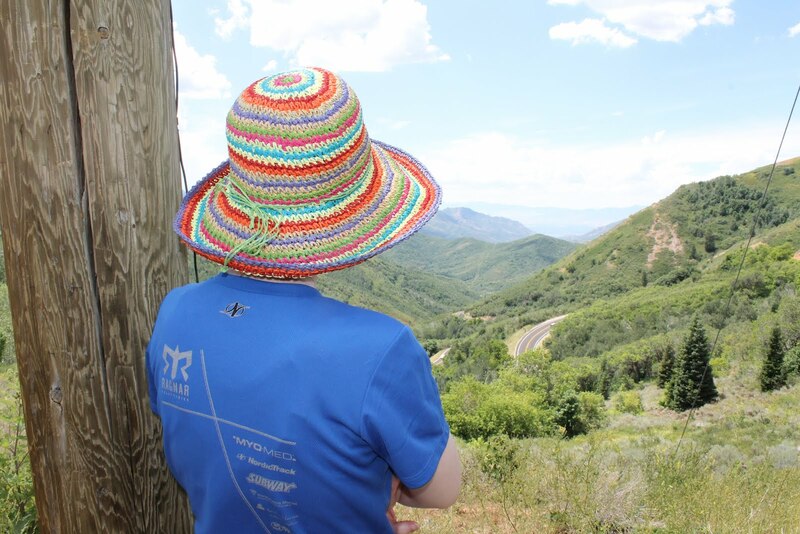 I’m able to sit for longer periods of time, and keep my mind alert and in the zone. The quality of writing is better, along with the amount of words I’m able to put on the page. And I think I owe it to one thing: Work. Conditioning. Failure to let myself slack. I’ve kept a routine, and forced myself to put in chair time even when my brain wasn’t feeling it. Or when I’d rather have been sleeping. It’s true like anything, training and discipline do get you somewhere. I remember when I was dancing, there were certain steps that were easy. Cake. And it’d be fun to do those steps because they didn’t take much effort. Sure, it was good for me to practice them, and doing them kept my skill at a consistent level, but I wasn’t improving. The times when I was improving was when the pain set in. When the burn of my muscles ached so bad I couldn’t take it anymore. It’s in those moments you’re stretching yourself, building muscle, gaining endurance. It’s the same with writing. 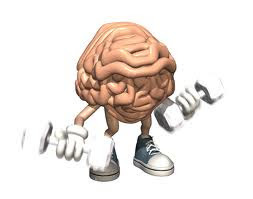 And crazy how our brain really is a muscle. ***And if you haven't signed up for the "What If?" Blogfest yet, click here! It's only been a week, but I've had the shakes from missing my blogosphere friends. Yes, you are in the right place. The lovely Tiana Smith helped me create the new look for my blog. She's absolutely fabulous. If you're itching for a change, go check out her site. Next, I wanted to tell you what the "Laude" tab is all about above me. Twice a month, I'm going to highlight someone who's had an impact on my writing life or me as a person. To see who my first victim is, go click on the link above. Standing in the wings, I almost don’t see him. The lights are off, and he sits so still, like he’s sleeping, or praying. He’s perched on center stage, with his legs crossed and his head down. A door open from the audience brings in just enough light to show his profile. His hair flops down over his forehead, casting heavy shadows on his cheeks. Then, without warning, he unfolds himself and stands, the act quick, but smooth. Only a dancer could stand with such precision. He puts his feet in fifth, and then tombe, glisee’s into a beated assemble. He then springs into a series of jumps, his feet light—so light—on the ground. The only sound heard is his breathing, carrying through the empty space. He’s magic. Watching Griffin’s body move through the dark is silk on my skin. A harp playing in my heart. I don’t want him to stop. How are your projects? I want to hear about them! Any fun things planned for the week? Planning on visiting Tiana's site? Have you signed up for the "What If?" Blogfest yet? Time to catch up!